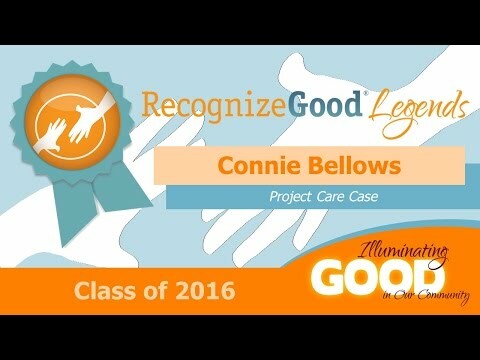 As a foster child, Connie Bellows bounced from home to home – now, she heads a nonprofit called Project Care Case that has provided ownership and dignity to over 1,200 foster kids. When children enter the foster care system, they are often taken from school or from hostile home environments, plucked away from the lives they know with little to no advanced warning and given only a single box, grocery bag, or garbage bag to transport any personal possessions they may have into their new life. Because foster parents are worried children might act out if they know about their new placements sooner, they often delay telling children until immediately before a CPS worker arrives to collect the child. Connie Bellows was adopted at six weeks old and placed into the foster care system at age 12 to escape a toxic home environment, then because she was ineligible for adoption spent the next six years in several different foster homes. “I can vividly remember arriving home from school and seeing my things packed in a trash bag or a box and my current foster family saying, ‘Connie, you’re going to be moving on tonight,’ she recalls. “So not even the same pillow and blanket that I slept with the night before would be the one I’d sleep with the following night.” Connie made it through the foster care system and into adulthood, but memories of having her meager belongings dumped into a box or sack as if they were trash stuck with her. By 2008, Connie and her husband Eric had fostered and adopted five children of their own in addition to raising their three biological children. But Connie remembers, “Even though our journey of fostering and adopting was finished, my heart knew we were not yet finished being of service to children in foster care.” One night Connie awakened with a vivid recollection of what would turn out to be a prophetic dream. In it, she had started a nonprofit that provided suitcases to kids in foster care. She began to envision the possibilities. Given her background in the foster system and as a foster parent, she knew that providing foster children with suitcases and personal belongings would, in effect, give them a sense of dignity and ownership. Project Care Case was born. That Christmas, Connie and a community of compassionate supporters delivered their first set of 40 “Care Cases” to Starry, a Christian nonprofit that provides foster care and adoption opportunities. Each Care Case provides a foster child with the basics and more: a wheeled suitcase, a minimum of two changes of new clothing, pajamas; socks, undergarments, personal hygiene items (toothpaste, toothbrush, shampoo, brushes, and combs), a teddy bear, a pillow and blanket, and a Bible in age-appropriate language.